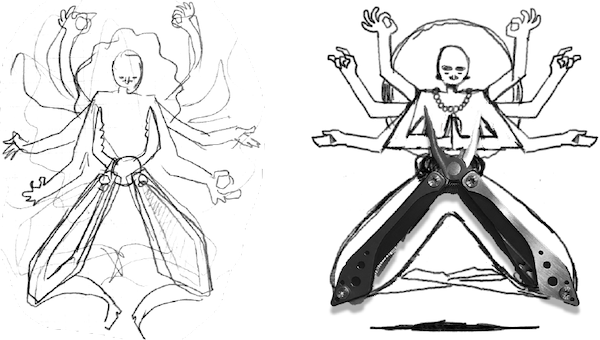 When zen philosophy and handiness meet. 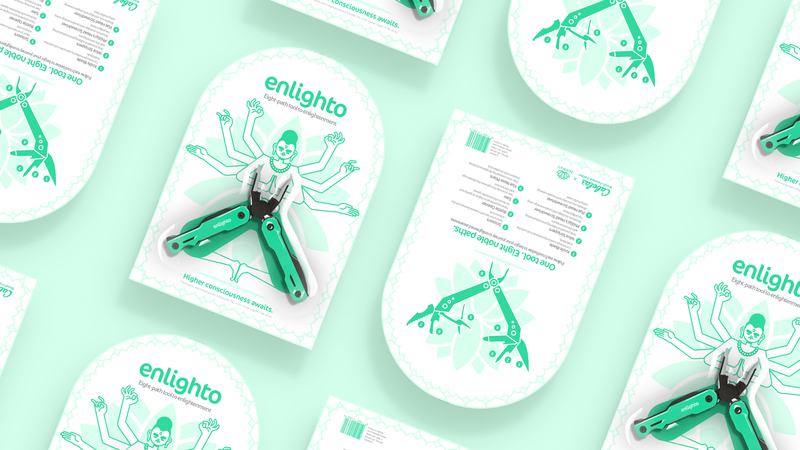 This tongue-and-cheek multi-tool packaging introduces basic Buddhist principles to younger audiences through stylized illustration and modern typography. 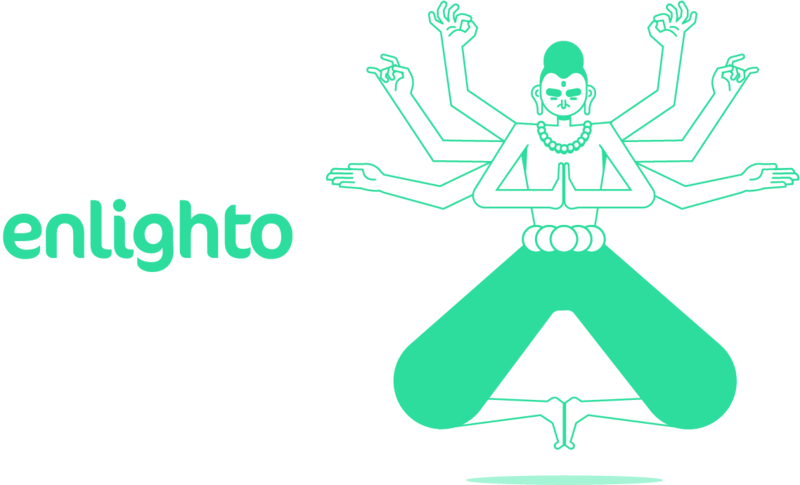 The chosen monochromatic color scheme seeks to communicate tranquility and ease of mind. 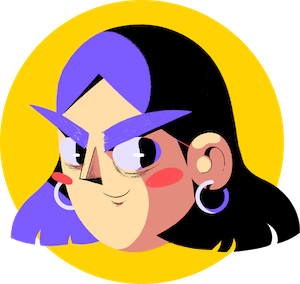 One tool. 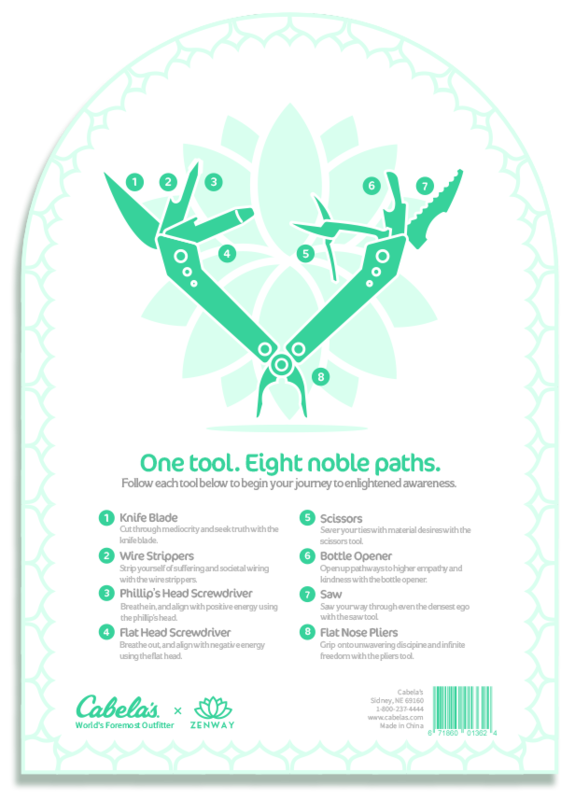 Eight noble paths. 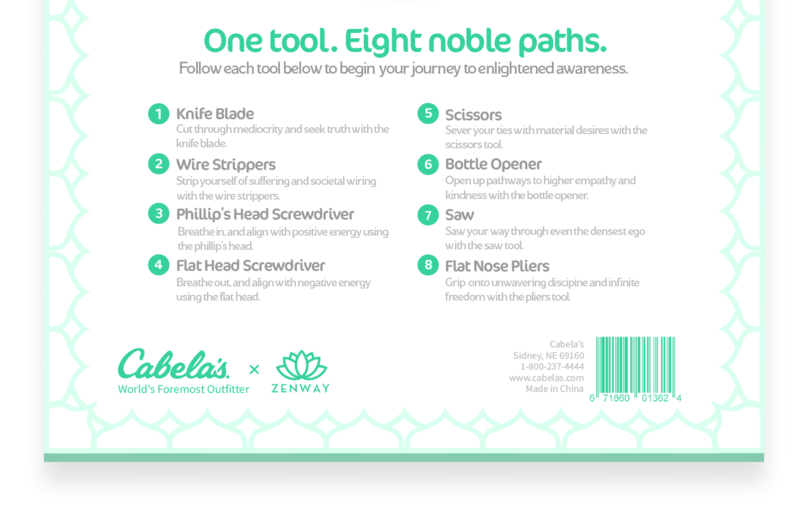 The heart of the concept lies in combining the eight primary functions of Cabela's multi-tools with the Buddhist eightfold path to enlightenment. 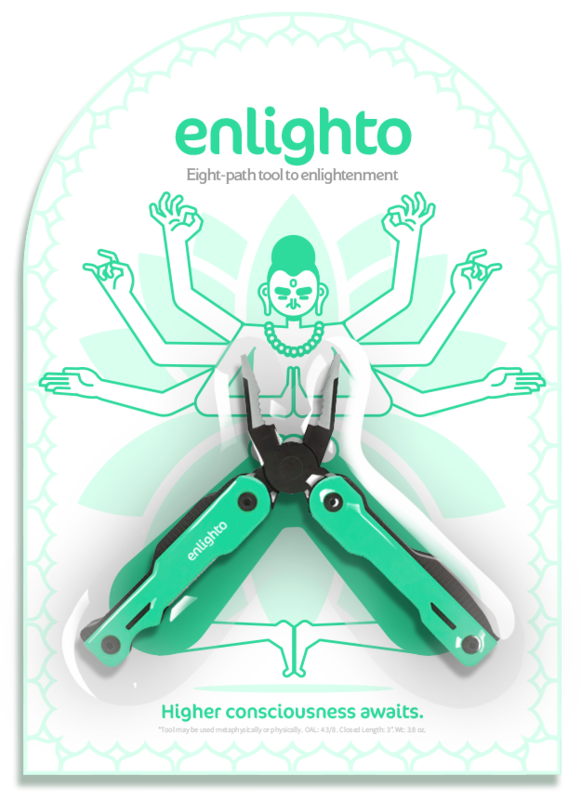 One path to enlightenment for each tool.